For a film that hasn’t even been written yet, the news that there will be a Lord of the Flies remake has certainly provoked a strong reaction on social media, the home of strong reactions. Remakes are nothing new, of course: the 1990 version of the film was a remake of the 1963 original, which was an adaptation of William Golding’s novel about a group of boys stranded on an island. Except this new version – unless the reaction hasn’t just knocked the whole idea off a cliff – has what until recently was a twist but now seems to be a given: its male roles will now be female. It may be a little early to see whether the two middle-aged men behind it, McGehee and his fellow writer/director David Siegel, can really get into the perspectives of a bunch of prepubescent girls, but the news started trending on Twitter, where everyone holds their own conch shell. It wasn’t even the predictable stuff about how women are supposedly invading male space (though you don’t have to look far to find people who think this remake is the work of “feminazis”); feminist Twitter wasn’t exactly rapturous either. “An all-women remake of Lord of the Flies makes no sense because … the plot of that book wouldn’t happen with all women,” tweeted the writer Roxane Gay. We will have to wait to see how the film about masculine barbarism will work with girls in what will be, according to Siegel, “a very faithful but contemporised adaptation”. It is just the latest in a slew of gender-flipped reboots we’ve been promised. The glossy Ocean’s Eleven heist brand is adding Ocean’s Eight, with an all-female cast. The line-up is as heavyweight as the Rat Pack original (which starred Frank Sinatra), and the 2001 version (with George Clooney and Brad Pitt): this spin-off has Sandra Bullock and Cate Blanchett leading a gang that includes Rihanna, Mindy Kaling and Anne Hathaway. 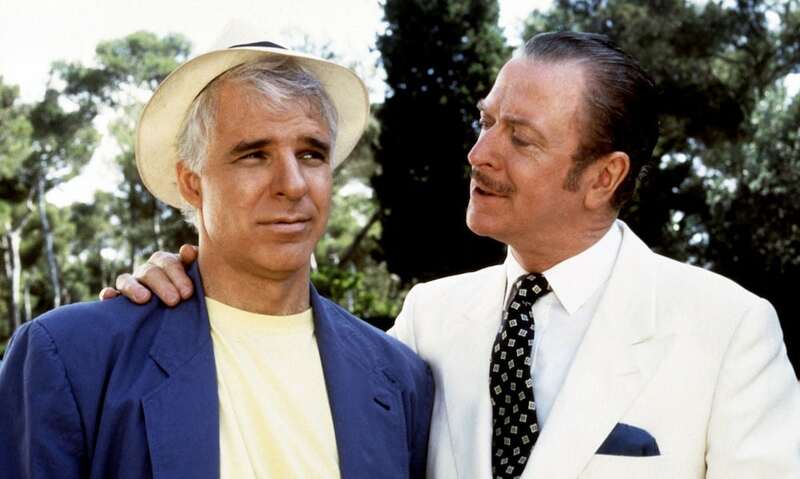 Dirty Rotten Scoundrels, the 1988 comedy with Steve Martin and Michael Caine, is being remade with Rebel Wilson in one of the roles. Disney is rebooting the 1991 action film The Rocketeer, based on a retro comic book series, with a woman in the stunt-pilot main role. A new Splash is planned, this time with a merman (Channing Tatum) taking on Daryl Hannah’s character in the 1984 original, who falls in love with a landlubbing human (Jillian Bell in Tom Hanks’s role). 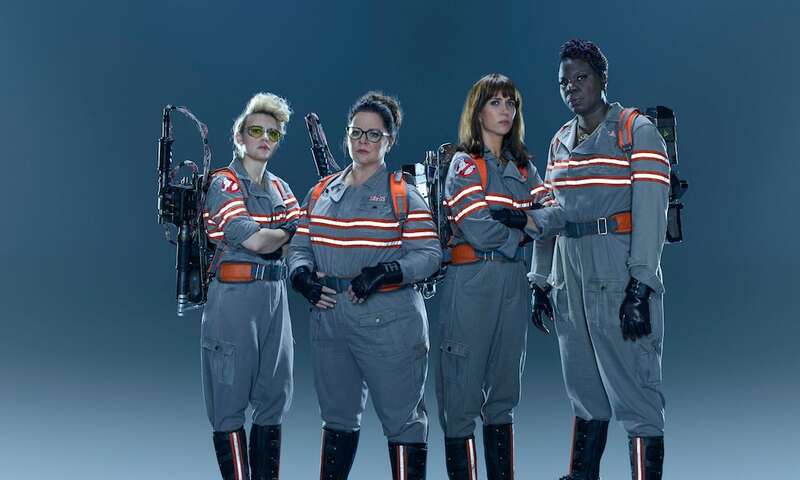 And the most high-profile example so far was last year’s Ghostbusters remake, in which an all-woman cast – Kristen Wiig, Melissa McCarthy, Leslie Jones and Kate McKinnon – took on the male roles from the 1984 original. In one sense, all this seems like good news – it means there are more women in blockbusters. But you could also take the view that these remakes signify not only a complete lack of creativity but, worse, that studios are using them as somewhere to funnel female talent because they are unwilling to take a risk on original big-budget female-centric films. But these films will go some way to improving the number of women in leading roles. According to annual research by the Media, Diversity & Social Change Initiative (MDSC), of the top 100 films of last year just 34 had a female lead or co-lead – and of those just three were from an ethnic minority. Two of this summer’s hits were Wonder Woman and Girls Trip, so there is an appetite for women “driving the action in Hollywood blockbuster films,” she says. If a female reboot doesn’t do well, does that have wider consequences for women in the industry? Ghostbusters has been at the frontline of the current crop of gender-flipping reboots: from the start, it was dogged by an astonishing amount of sexist vitriol, and there was a small but vocal number of people – almost entirely men, the “ghostbros” who claimed their childhood memories of the film had been sullied – who wanted to ensure its failure. Thanks to a whipped-up social media campaign, its YouTube trailer became the most “disliked” in history and thousands had “downvoted” it on IMDb before it had even opened. It is still ranked lower than a universally panned reboot released the same year, the still-male Batman v Superman. Lead Image: The all-star, all-female cast of Ocean’s Eight, the latest entry in the glossy heist franchise, starring Sandra Bullock, Cate Blanchett, Rihanna, Mindy Kaling, Awkwafina, Helena Bonham Carter, Anne Hathaway and Sarah Paulson. Photograph: Allstar/Warner Bros.